這是八卦掌董海川大師所傳，陳泮嶺大師在台中傳授，《台中市嶺雲武術協會》創會理事長陳雲慶老師指導，由《台中市嶺雲武術協會》現任理事長安守剛策劃及本會學員演出。 This is the performance of Bagua Stick by the students of Master An Shou Gang under the coaching by Grandmaster Chen Yun Ching . The results of the CPL world family players of the All Japan Tui-Shou Championships held yesterday are as follows. 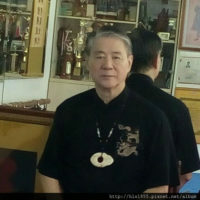 Takemura (Chief Instructor of Jifeng Martial Arts Academy) won the second prize in heavyweight class. Sanada (Student of Jifeng Martial Arts Academy) won the 3rd prize in heavyweight class. Uno (Master of Mingjing Quanshe) wins 3rd place in light weight class. He also played in the open weight divijon, although he weighs only 65 kg, he won the 4th prize, then he got the Fighting-spirit award. Uno and Takemura, are the disciples of Master Tohyama, and Sanada is a student of Master Tohyama. 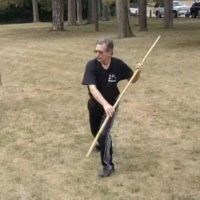 Classic Yan Style 85 TaijiQuan. 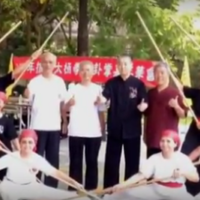 Performed by Chen Fu Zhongwen. 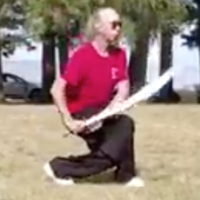 Classic Yang Style Taijiquan 85 form. 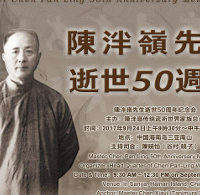 Performed by Chen Fu Zhongwen. 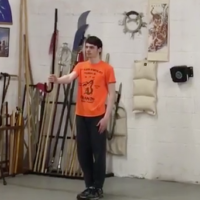 Chen Pan Ling’S Style Taiji Quan. Performed by Chen Yun QIng.